we're stoked to be playing a show this coming Sunday night at Springwater in Nashville, TN. 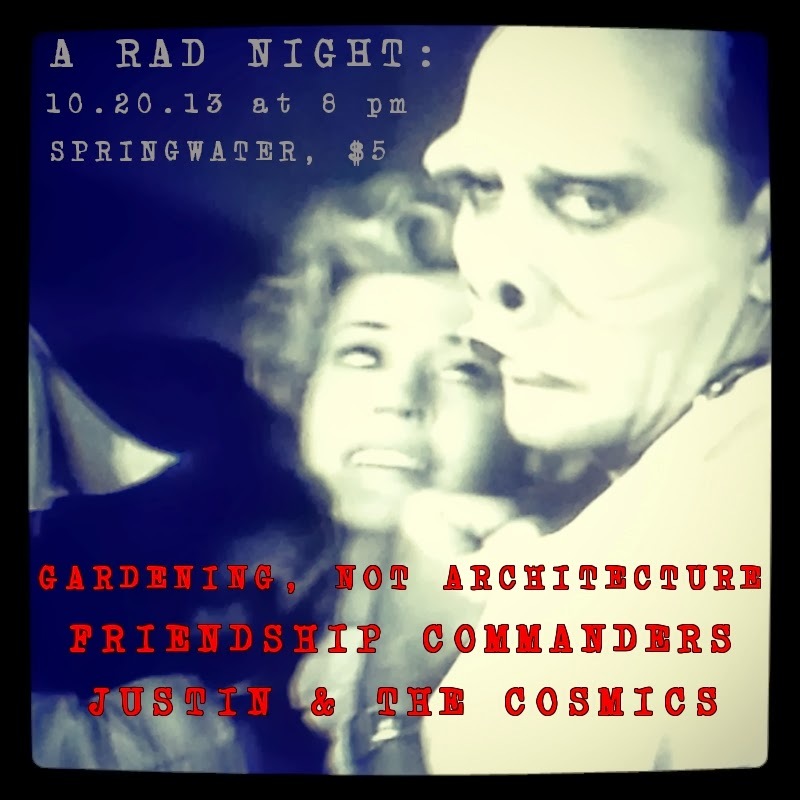 We're sharing the evening with two cool bands: gardening, not architecture and Justin and the Cosmics. Also, we'll have brand new merch for sale! We had CDs and limited edition cassettes of the AMOS EP made, and we can't wait for you all to see them. They'll be up on this site later in the week. Check out the event page for the show and RSVP!